Explore some of the sea and fishing themes which inspired Prunella Clough's prints and paintings, using the medium of Collagraph. Collagraphy is a collage printmaking technique, where the image is composed from a variety of textured materials glued to a cardboard or metal base. This plate is then carefully inked and printed through an etching press using thick dampened paper and a great deal of pressure. 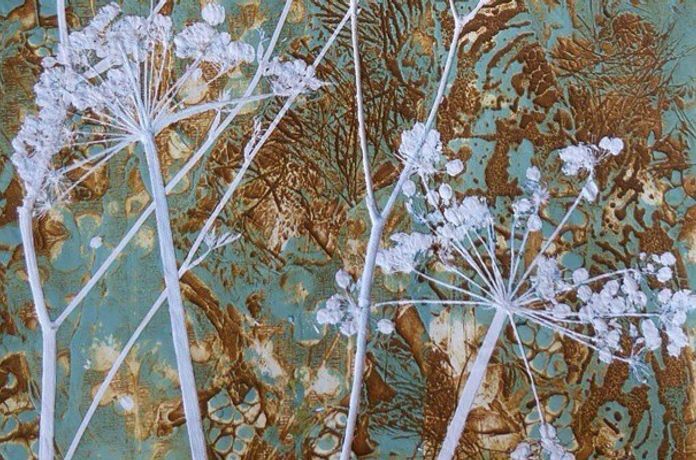 It is a very accessible way of making prints using everyday materials such as leaves, card, wallpaper, string, tissue paper, gauze, scrim, fabric, lace, feathers and even foodstuffs, and can produce wonderfully textured and sophisticated images. Liquid materials, such as PVA or ceramic tile adhesive can also be used and can be applied to the plate using a brush, palette knife or squeegee. Much of the joy of working with collagraph lies in the tremendous scope there is for innovation and experiment. It really is the closest the printmaker can get to painting and, in addition, retains great scope for sculptural and graphic treatments. 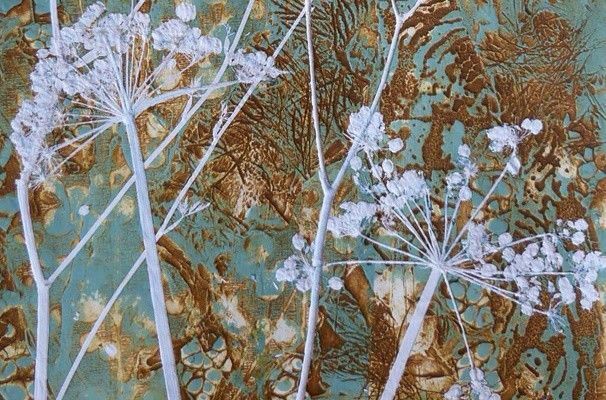 In this two day workshop we will be constructing collages on mount board using a variety of materials and then printing them using a small portable etching press. We will be experimenting with different inking techniques too and you will be surprised at the results you can achieve even without any previous printmaking experience.